Provide comfort for the family of Glenda LaBarr with a meaningful gesture of sympathy. My Mom was born in a sod hut in southwestern Oklahoma in 1930, into a family that was desperately poor during the Great Depression and the Dust Bowl. My grandfather grubbed mesquite for 50 cents a day. When the war broke out he enlisted at 40 years old because he could make more money as a private in the army than he could make working a farm. They didn’t go to California because they couldn’t afford a vehicle that would make it that far. They ate a lot of rabbits, and cornbread and milk was a Sunday afternoon staple. Mom married my Dad in 1948 when she was 17 and he was 18. I was born two years later, and my sister two and a half years after me. My Dad was a farmer working for another man on a large wheat farm in the Texas panhandle. We moved to northwest Arkansas in 1963 where he became a machinist. Just when they achieved a small degree of financial comfort and were beginning to make plans to enjoy life, my Dad died in 1970. They were both 40. To support herself, my mother finished her vocational education to become a “practical nurse.” She worked in hospitals and doctor’s offices near either my sister or me. When she retired and moved into the apartment complex in Oklahoma, her monthly income was less than $900 a month. And yet when she moved to Texas she had saved over $5000. “Frugal” in the dictionary should have my mom’s picture beside it. At Northgate Nursing and Rehabilitation center, she was inside and dry and away from the elements. She has a clean bed, gets three meals of soft food every day – that she didn’t have to cook! And every other day she gets bathed. She thought that live was pretty good. She fell in January of this year, and was immediately placed on hospice care. She died peacefully on March 23. She is survived by a son, Rev. Dr. Bill La Barr and family of Carrollton, and a daughter, Laura Francis and family of Tulsa, Oklahoma. Graveside services in Arkansas are pending. 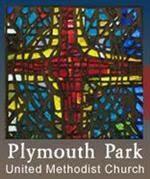 Memorials may be made to Plymouth Park United Methodist Church. To send flowers to the family of Glenda Sue LaBarr (Hendrick), please visit our Heartfelt Sympathies Store. We encourage you to share any memorable photos or stories about Glenda. All tributes placed on and purchased through this memorial website will remain on in perpetuity for generations. Provide comfort for the family of Glenda Sue LaBarr (Hendrick) by sending flowers. So sorry for your loss. Our prayers for strength and comfort for the family. To the family and friends of Ms Glenda LaBarr, I wish to express my deepest apologies for the loss of your dear loved one. Death is an enemy of the human race and is merciless towards everyone. Though the coming weeks and months may prove to be difficult to cope with, my hope is that you may find a measure of comfort and peace from the Holy Scriptures. The promises made by Jehovah God will come true. John 5:28,29. Isaiah 25:8,9. Take care. Sending our condolences to the family. Sue was a wonderful, loving person.